Makara Sankranthi 2031 Date, Sankranthi date, Makar Sankranti 2031, Makar Sankranti Date, When is Makar Sankranti in 2031? In Sanskrit the word Sankranti means transition. As the sun transits to Makara Rashi (Capricorn) from Dhanu Rashi (Sagittarus) this day is known as Makara Sankranthi. Makara Sankranti marks the start of the Uttarayana Punya Kaala which also a start of day for the Gods. This year Makara Sankranti is celebrated on Wednesday, 15th January 2031. 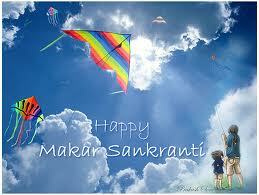 Makara Sankranti is one of the biggest harvest festivals of India. Makara Sankranti is famous with different names in different parts of the country. Makara Sankranti is known as Maghi, Pongal, Magh Bihu etc. Each part of the country has its own set of rituals on Makara Sankranti. Preparing of different kinds of delicious sweets and other food items is common in all parts of the country. Makara Sankranti is famous for huge Rangolis. For few people taking a dip in holy rivers is a ritual on Makara Sankranti.